Engine, CVT, fuel economy, problems. Popularity of SUVs and crossovers is growing, giving used car buyers plenty of choices. 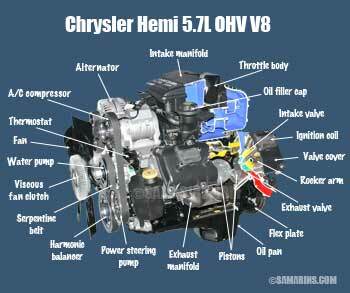 Read about problems, years to avoid, fuel economy and info on engines and AWD systems. The RAV4 is a fuel-efficient, practical and reliable compact SUV. The Cherokee offers an optional unique 4WD system with low range. The Rogue is one of the top contenders among compact SUVs. Honda best-selling minivan seats 7 or 8 depending on the model. "Tiguan" means half tiger half iguana. Volkswagen compact SUV explained. Toyota compact SUV offers a practical interior, decent cargo space and agile handling. The name CR-V stands for Comfortable Runabout Vehicle, which describes this car perfectly. Check out our car maintenance checklist with photos, learn how to troubleshoot why a car won't start. Read what can cause your Check Engine light to come on and what the Check Engine trouble codes mean. Read how a starting and other systems work in a car. Learn how different car parts work how they are tested and what are the common problems. How different car parts and components work. How a cooling system works. Is there a warning light for low oil? Do oil additives really help? By opting for a pre-owned vehicle, you can save you a lot of money, but there are many things you should be aware when it comes to buying a used car. What cars to look for? What mileage is OK for a used car? What cars to avoid? Should you buy or avoid cars with a turbocharger? 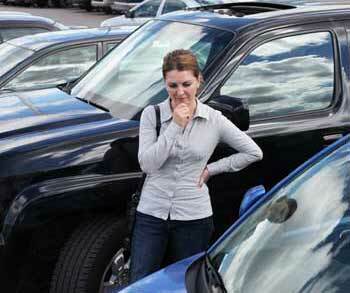 Read a few tips on how to inspect a used car and spot signs of potential problems. Ex-rental cars are cheaper, but there is a lot to watch out for. Should used car buyers look only for low-mileage cars? Should you buy or avoid a car with a turbo engine? Should you buy a car with a CVT? 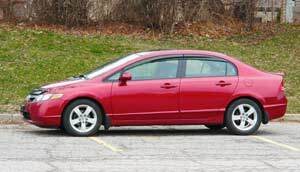 Is it a good idea to buy a used car with a CVT? When we review cars, we not only see how they drive and test features, we look deeper. We check mechanical components, research common problems and in some cases even speak to mechanics that work on these cars. We appreciate any feedback you have.